I recently took a week-long trip to the island of Eleuthera, Bahamas. The purpose of the trip was to investigate the heritage of the island in hopes of organizing field projects on the island in the coming years. I flew into Governor’s Harbor airport on Tuesday January 24th, 2012. The airport was built by the US military back in the 1950s. Its runway can handle very large planes, although anything larger than a twin-prop passenger plan rarely lands here. I was met at the airport by Latoya, who was kind enough to rent me a car for the duration of my trip. Car rental on Eleuthera is an informal affair, and we agreed to settle up upon my departure the following weekend. As Latoya drove me to my accommodations – a two hour drive! – she talked to me about the culture of the island, her life, and the upcoming junior Junkanoo, but more on that later. I ended my first day by visiting with the local marine biology researchers at the Cape Eleuthera Institute and listening to some of the interns discussing their research as the sun set. 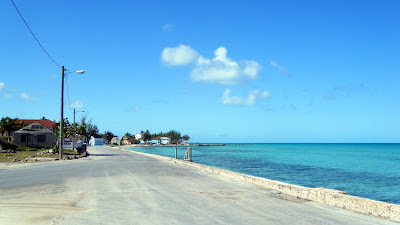 The majority of my first full day on the island was spent driving around and exploring the long, thin island. This included driving up to Preacher’s Cave at the north tip of the island. 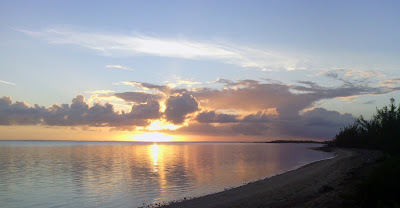 Preacher’s is the site of the first European settlement on the island. In 1647, a group of British colonists led by Capt. 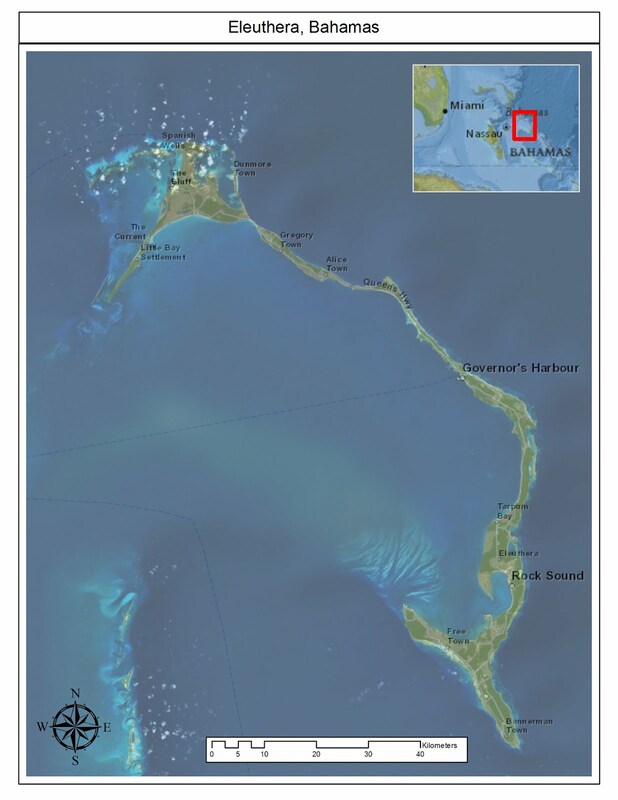 William Sayle arrived in the waters north of Eleuthera. 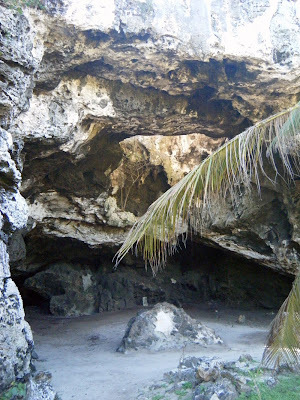 Their ship wrecked on a reef just offshore (this reef is now known as the Devil’s Backbone). The would-be colonists struggled to shore and eeked out a meager existence for years. They found a natural cave formation which resembled a cathedral, where they began holding religious services – the site known today as Preacher’s Cave. You can learn more about the archaeological work here by visiting the University of South Florida’s page on 3D documentation of the site. 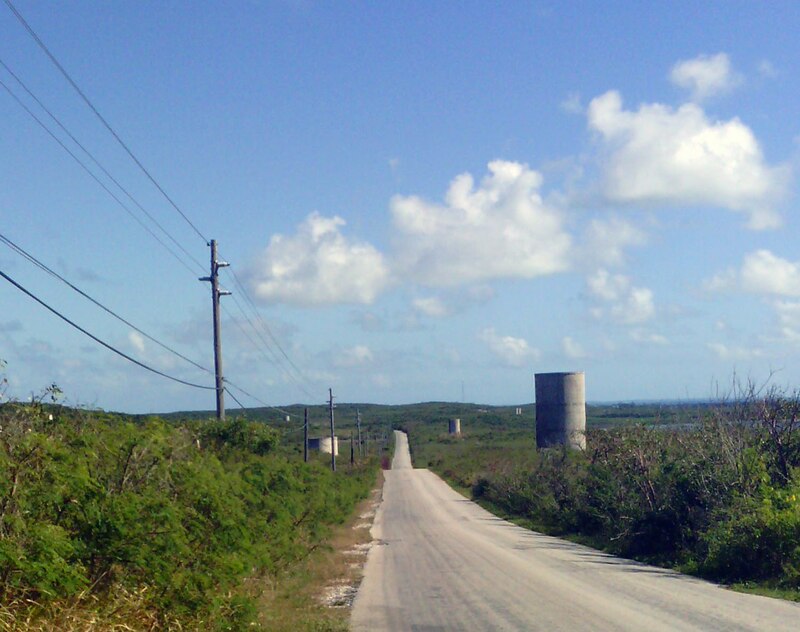 A number of interesting sites exist along the central road which runs the length of Eleuthera. The Queen’s Highway runs past a number of beautiful views and intriguing heritage resources. 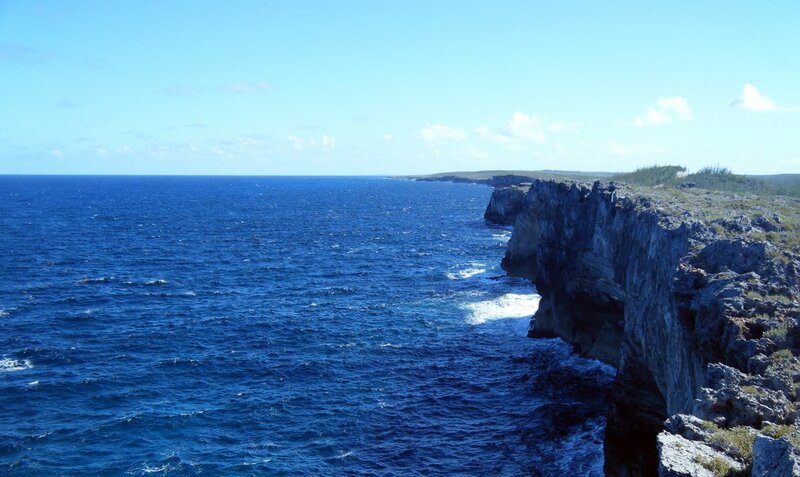 This includes the Glass Window Bridge, which is the narrowest point of the island and home to some incredible scenery. The northern half of Eleuthera was once home to a thriving a pineapple industry as well. 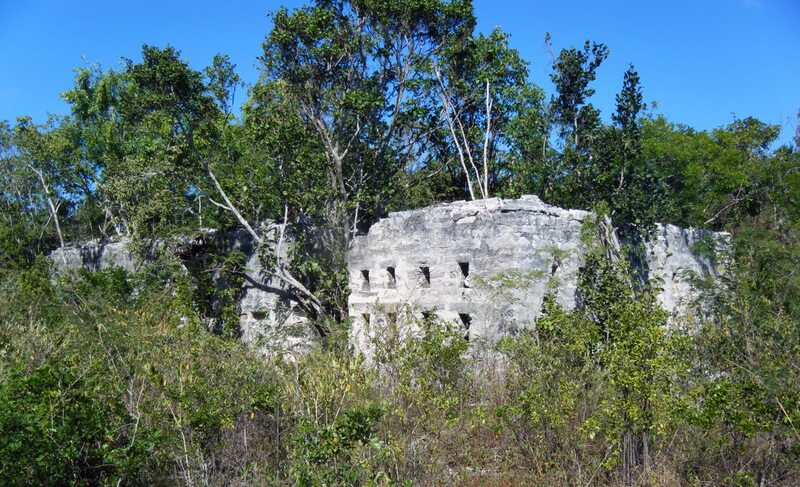 Indeed, Eleuthera was once known as the breadbasket of the Bahamas because of the rich array of agricultural goods it produced. The soil is particularly fertile, owing to the high amount of red clay which makes up this part of the island, carried to the island from Western Africa by the Trade Winds over the course of millions of years. The pineapple industry collapsed in the 1950s and ’60s after Hawaii became a US state and pineapple production shifted to the Pacific. All that exists today of this once thriving industry are a series of empty, crumbling silos which follow the Queen’s Highway for several miles. 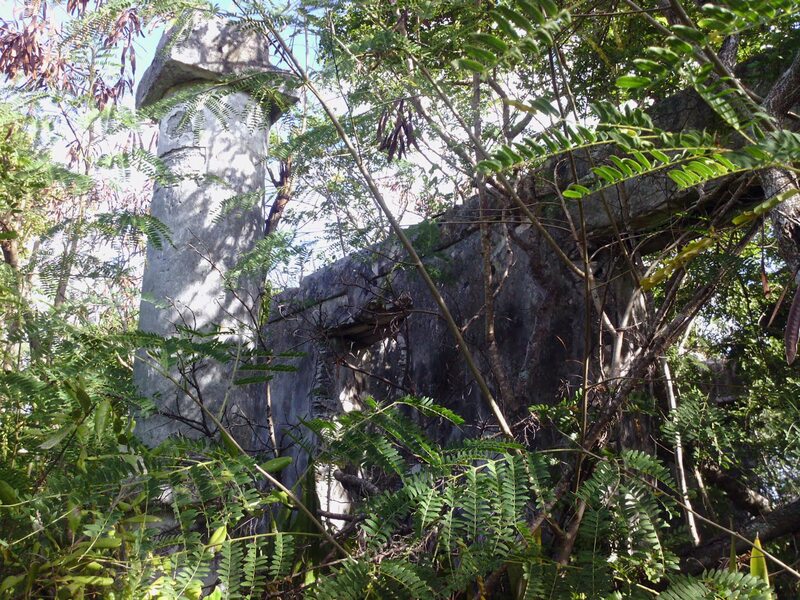 I spent the better part of Thursday morning exploring a handful of ruins associated with the Gibson Family. This family name is well-known throughout the Bahamas, and according to locals, at least a thousand people on Eleuthera share the Gibson surname. 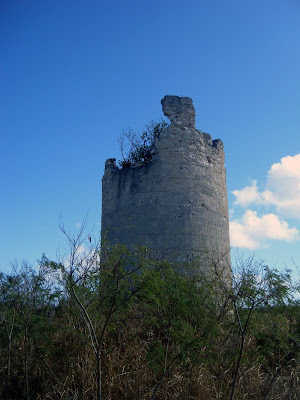 I met Perry Gibson at around 9am and he took me into the hills of southern Eleuthera. There, hidden by generations of jungle growth, was his great-great-grandfather’s house. Perry’s ancestor was a British planter who moved to the island in the 1840s with a handful of slaves, some of whom bore him children. Perry and other Gibsons trace their ancestry through these relations. Perry shared many family stories with me about the house and its significance to his family. His mother was born in the house back in the 1940s and he had found memories of “rambling” around the area as a teenager and enjoying its quiet remoteness. 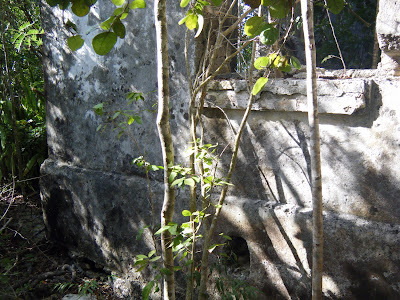 The house is part of a much larger complex including remains of the island’s first Anglican church and a number of small slave dwellings. 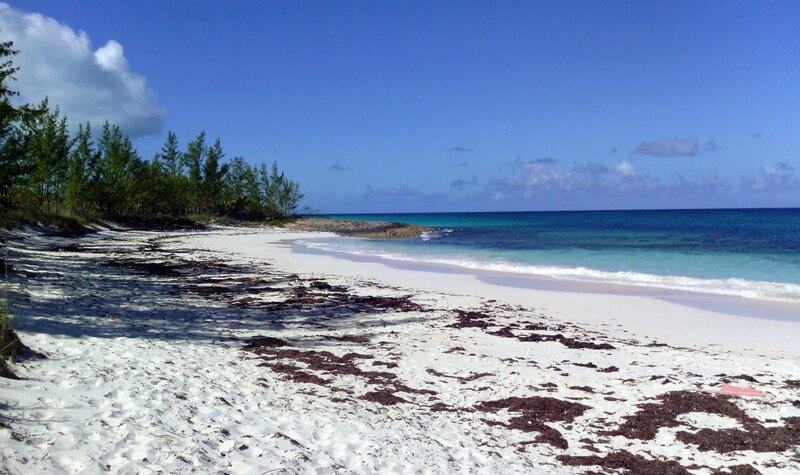 I spent the rest of my third day on the island looking at other sites and relaxing with Paul Albury’s The Story of the Bahamas on one of Eleuthera’s many beaches. 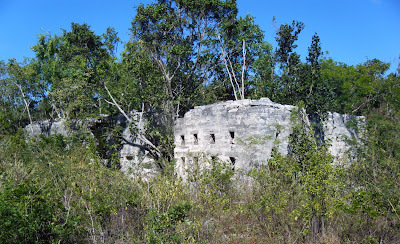 I rambled around during my third day on Eleuthera and looked at Deal’s Plantation (sometimes spelled as Dielh). This was another plantation reportedly built in the 1830s or 1840s. 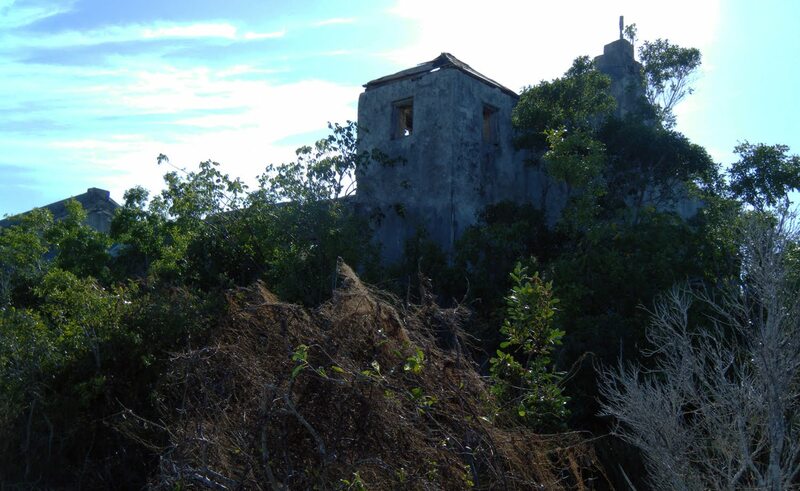 I parked along the Queen’s Highway and began a 1.5 hour trek along a recently abandoned road towards the western side of south Eleuthera, first coming upon some sort of agricultural building, with many small windows or holes in the walls, presumably for ventilation. As I continued along the old road, other structures of varying size and complexity began to appear. This included a large building with two chimneys. I found evidence of various modifications to the structure, including the sealing of one chimney. I continued to explore the area and were treated to a wonderful view of an empty beach. 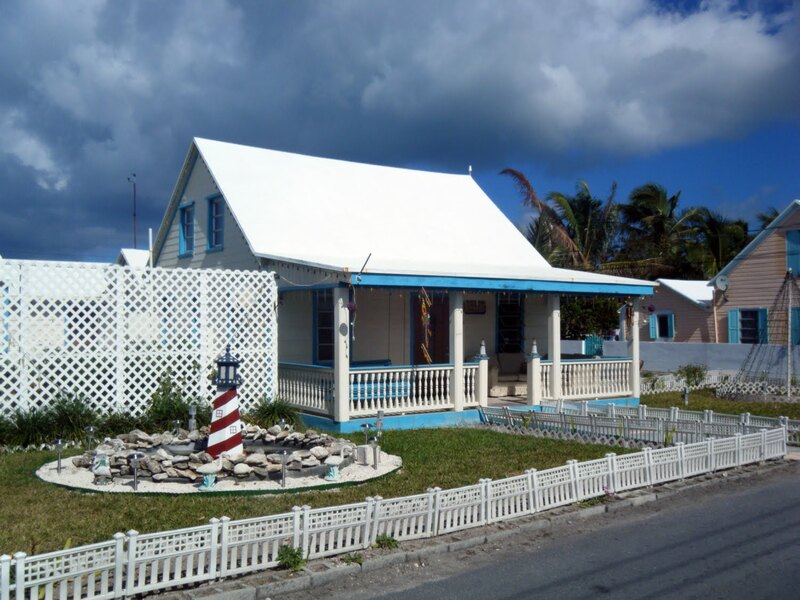 I left Deal’s Plantation and began exploring other parts of south Eleuthera. This included a brief trip to Old Bannerman Town, another nineteenth century settlement abandoned sometime in the 1900s. 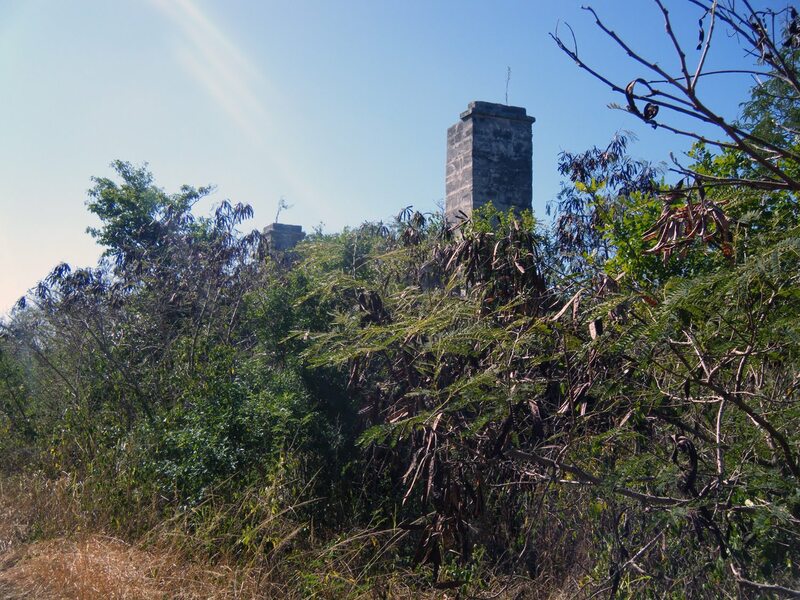 The remains of a large church and some smaller structurs as well as the tantalizing remains of a cemetery are located here. 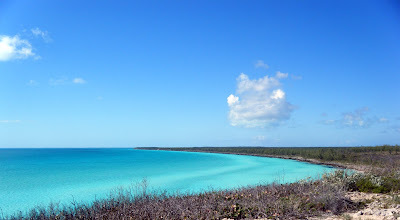 My final full day on the island was spent driving north again to look some of the sights on the north half of Eleuthera. 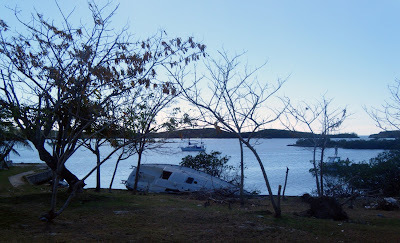 This included a leisurely lunch in Hatchet Bay, which had been hit particularly hard by Hurricane Irene in August, 2011. 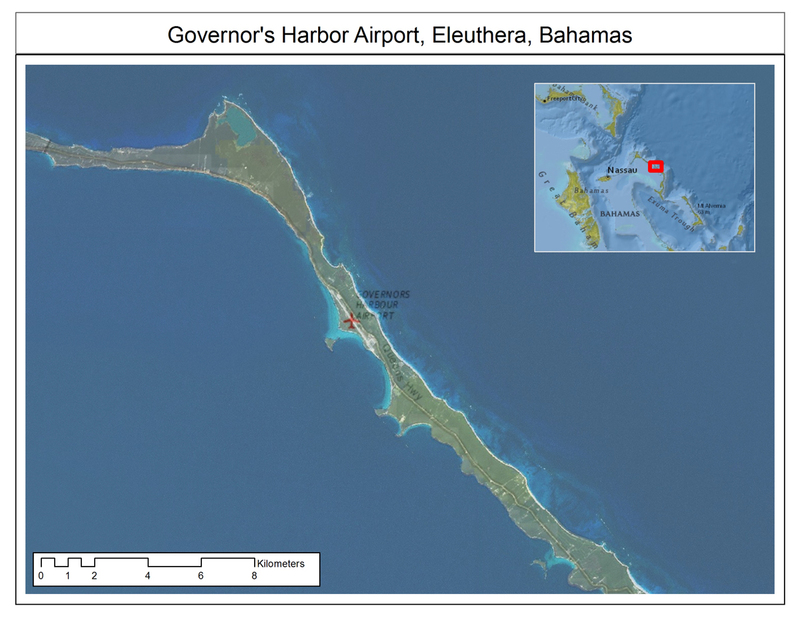 Irene hovered above north Eleuthera for 19+ hours, and although repairs had progressed rapidly, evidence of Irene’s impact were still visible. I decided to visit Spanish Wells. I had been hearing about this place all week and was told repeatedly that Spanish Wells was home to an all-white population descended from the original British settlers (with some additional settlers arriving in the subsequent centuries since the 1640s). Spanish Wells is a small island located to the east of Eleuthera, and can only be reached by ferry. 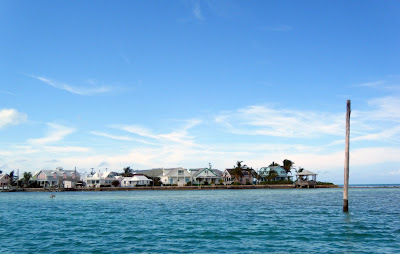 I boarded this ferry, paid four dollars, and headed to Spanish Wells – home to a small, tight-knit community reminiscent of New England fishing villages, complete with brightly painted, modest houses. 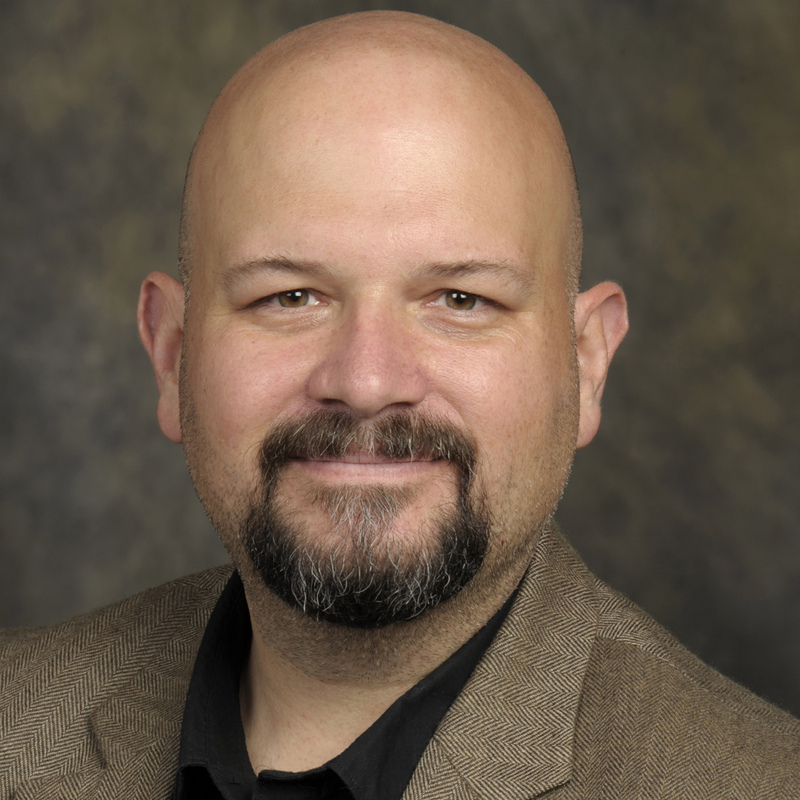 Only upon returning to states and doing some research did I realize that a group of anthropologists – including Bob Carr – had found European burials near Preacher’s Cave which, when subjected to genetic testing, had the gene for a rare form of dwarfism. A gene shared by many of the inhabitants in Spanish Wells. A truly fascinating place indeed! My final day on Eleuthera came to an end in Tarpum Bay, where we were treated to junior Junkanoo. Junkanoon – named after a slave remembered as John Canoe (at least in the Bahamas) – is a carnival commemorating the tradition of releasing slaves from their work on Christmas Day. 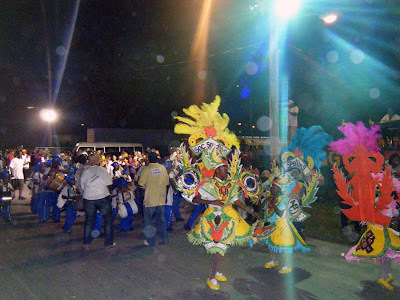 Today, the festival involves parades with elaborate costumes, musical performances, and floats. Junior Junkanoo on Eleuthera is a time when students embrace this tradition. They spend weeks preparing costumes, building floats, and practicing music – all of which combines in a one-night festival attended by folks from across the island. While leaving Spanish Wells, I visited with a family I later met at Junkanoo. My final day in the Bahamas was uneventful. I awoke early and returned home via Nassau. The plane was full of families who had spent the previous days at various resorts like Atlantis. 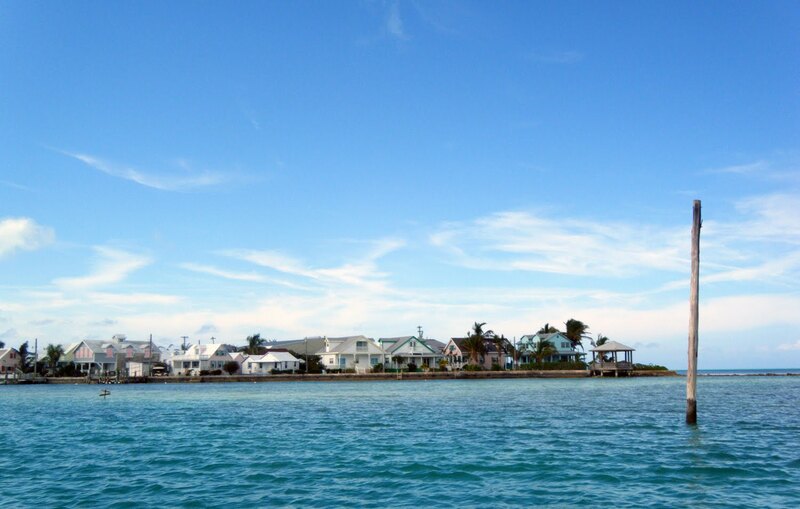 I thought to myself with a hint of sadness that most of them would never experience the rich cultural heritage of the Bahamian people, opting instead to stay in towering hotels on man-made islands of sand. 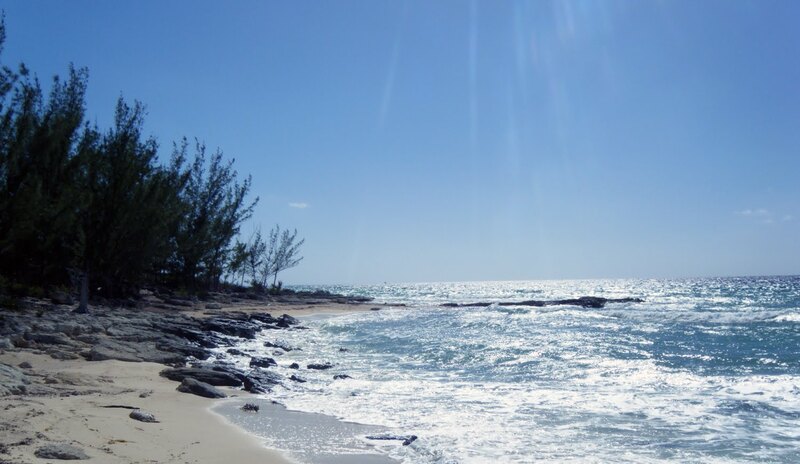 In the coming years I plan to return to the Bahamas for a number of reasons. I hope to expand on previous oral histories of the islands (see Jenkins Bahamian Memories: Island Voices of the Twentieth Century). Locals where extremely excited when I discussed my plans for creating an Eleuthera Oral History archive in the coming years. I also look forward to documenting various historic communities like Spanish Wells in the coming years. The trip was, in every way possible, a complete success.